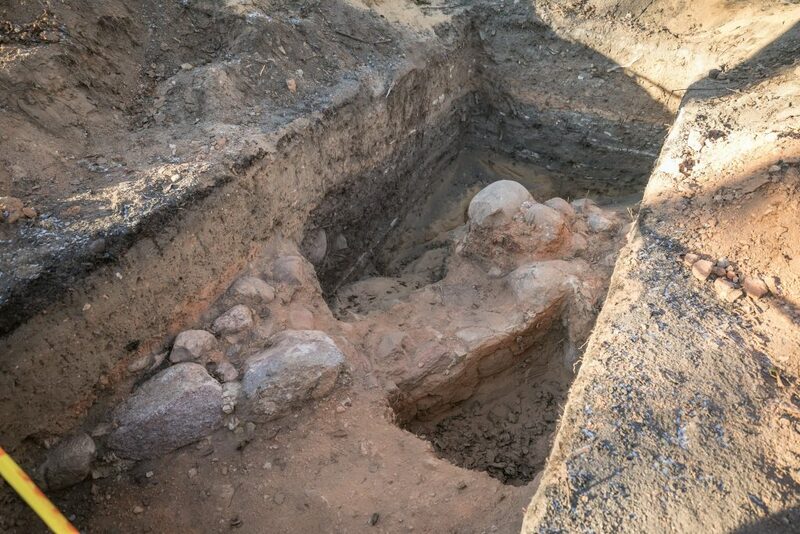 Archaeological research was completed in the territory of the Reformers’ Garden project. According to the archaeologists and historians having conducted the research, this research confirmed advance historical data, while the biggest discovery was extant fragments of the foundation of the first wooden Reformers’ Church (1st half of the 17th century). “Before starting the archaeological research, we set the goals which we managed to achieve – the borders of the territory of the former cemetery, the fence and the Consistory building were adjusted, remains of the chapels of Shreteriai and Vinholdai , and, supposedly, fragments of the foundation of the first wooden Reformers’ Church were found. The church raised the most questions, because there was no specific information about its precise location. All other discoveries could be expected, because they were mapped in detail, and some of the buildings remained until the mid-20th century”, said the archaeologist Justinas Račas. 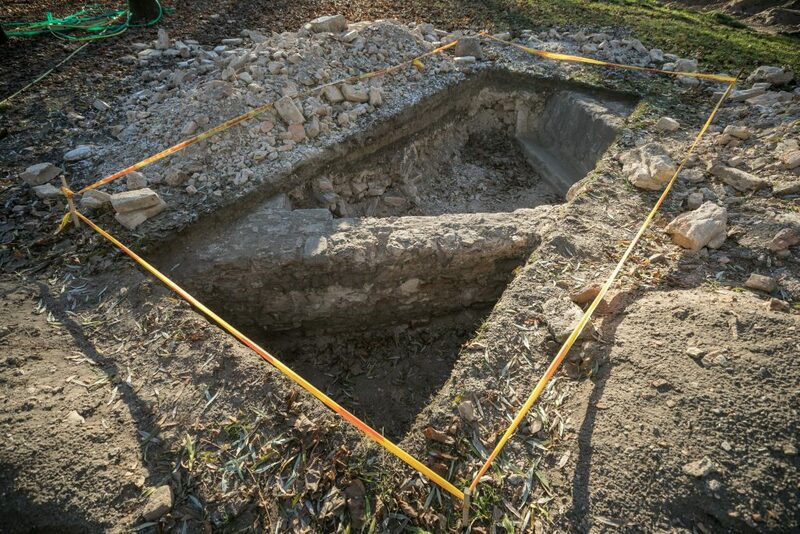 According to the archaeologist J. Račas, most information was available about the territory of the cemetery and the Consistory building, as there still are people, who remember the construction of the current Reformers’ garden and the findings discovered at the time. However, there were discussions as to the period of construction of the church and its size, although it is evident from the size of the corner of the foundation found that the church was quite large; written sources reveal that it was on fire, which is guessed to have been set for religious disagreements typical of that era, at least twice. The group of archaeologists already finished their work in the Reformers’ Garden, having achieved all their goals. The management of the Reformers’ Garden will be adjusted only slightly in light of the made archaeological discoveries. They are significant and important, but changing the project or continuing further research is not expedient at this time. “The fact that we succeeded in discovering the foundation of the first reformers’ church is very joyful, and it will have to be portrayed and considered in the final version of the project of the square. We will be able to answer what it will be like once we find out if some additional research is needed and assess the historical significance of the findings”, says Mindaugas Pakalnis, Chief Architect of Vilnius. According to the Chief Architect of the city, it is still difficult to answer how the findings will be captured in the square project, because there are many ways for doing that – they may be perpetuated in the pavement, in the scheme, marked in the meadow or plants. The Reformers’ Garden has not been renovated for about 35 years. The plan is to arrange the existing territory of the Reformers’ Garden by revealing the most important heritage of the territory – the legacy of the history of reformers. Habilitated Dr. Associate Professor Ingė Lukšaitė said that “the territory of the current Reformers’ Square in Vilnius has accumulated the most authentic marks of historical heritage of evangelical Christians of Vilnius and the Grand Duchy of Lithuania. 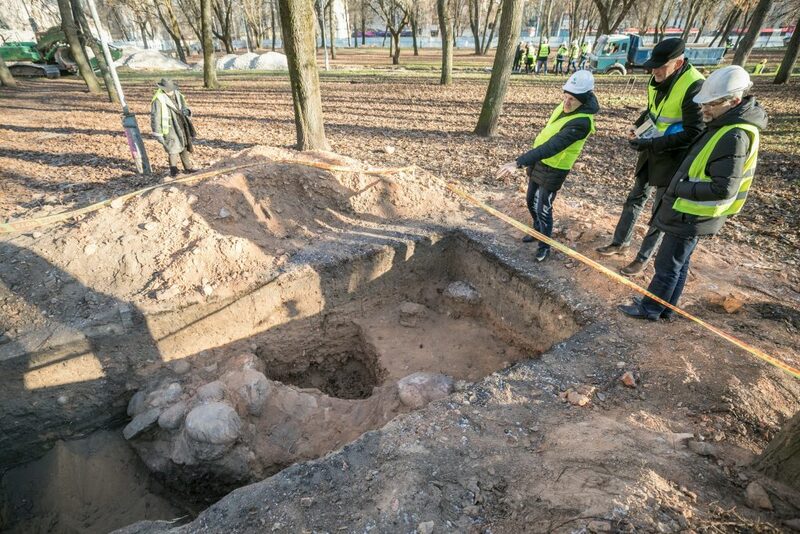 I agree with the proposal of the Lithuanian Evangelical Reformed Consistory that the garden reconstruction project should be adjusted so that it does not prevent opportunities for further research and restoration of some structures, to have trails built based on the layout of the buildings that once stood here. Knowing the exact boundaries of the former cemetery is necessary for carrying out subsequence works, while further research of the foundation of the old Reformers’ Church could be postponed marking the already known corner of the foundation and refraining from projecting earth moving works there, preserving it for later research”. The project is aimed at improving the ecological state of the garden, introducing new types of plants, managing the existing green areas and improving the existing soil by installing a watering system. The new Reformers’ Garden will become a space for leisure, recreation, discovery of culture and history for visitors of all ages. The garden will be accessibly not only to its neighbours, but also to every resident and guest of Vilnius. There will be a children’s playground and new recreation areas set up in the park. It will be conveniently accessed by public transport, on foot or by bikes. New lighting and video surveillance cameras will ensure a safe and quality stay. The restoration and arrangement of the Reformers’ Garden is funded from the European Regional Development Fund. EUR 1 722 211.03 from the Structural Funds was allocated for the project, EUR 202 613.06 Eur was taken from the state budget, and the municipality contributed EUR 101 306.54 therefor. The total value of the project is EUR 2 026 130.63.